Microsoft and Google have been battling for years to own the future of tech. 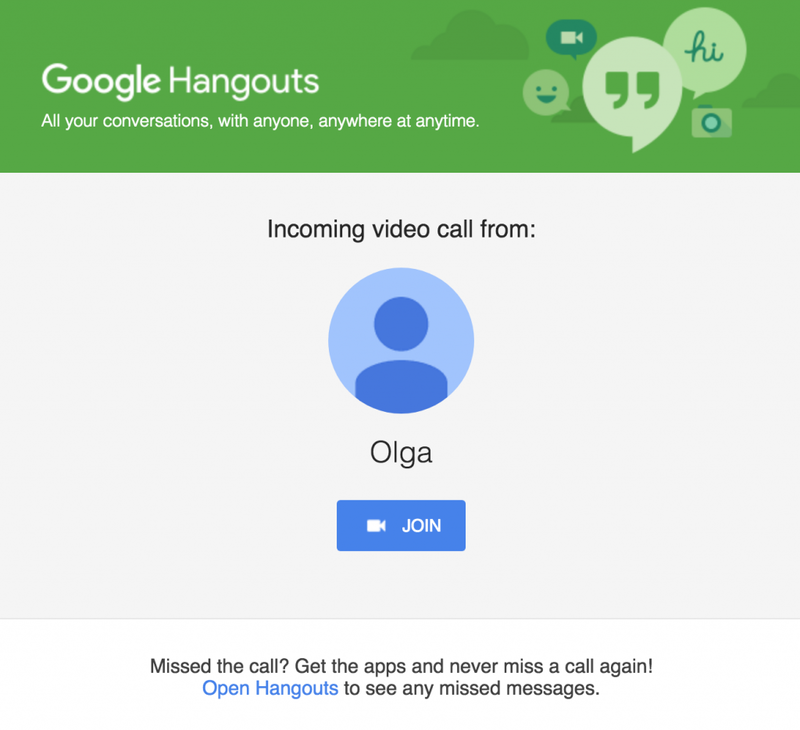 Today I’ll compare two of their products – Skype and Google Hangouts. 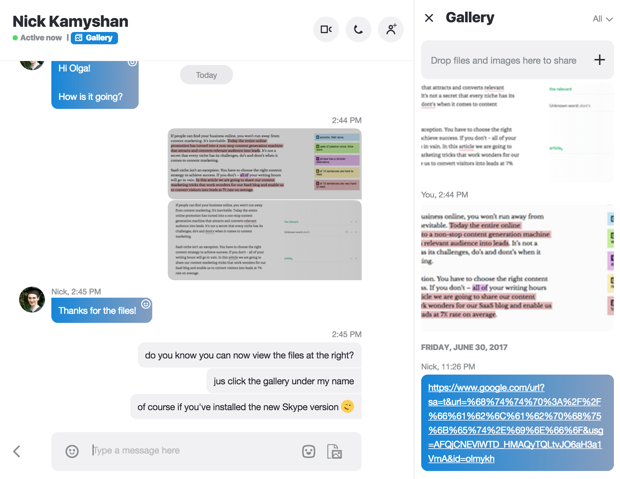 Thanks to building Chanty – a simple, AI-powered team chat, our team had to perform an in-depth analysis of our competitors. We’ve considered their pros and cons from a customer’s perspective and tried to come up with a better, cleaner and more user-friendly chat alternative. It looks like Skype has been there for ages. It was 2003 when the world heard of Skype for the first time and in eight years it’s been acquired by Microsoft. Launched 10 years later, Hangouts is one of the Google products that combined what was previously known as Google Talk, Google Plus Messenger and Hangouts feature of Google plus. I bet you’ve tried them both – It’s hard to find a tech savvy person who hasn’t. However, this week our team has taken a closer look at both of the tools. Now we are up to decide who’s the winner. 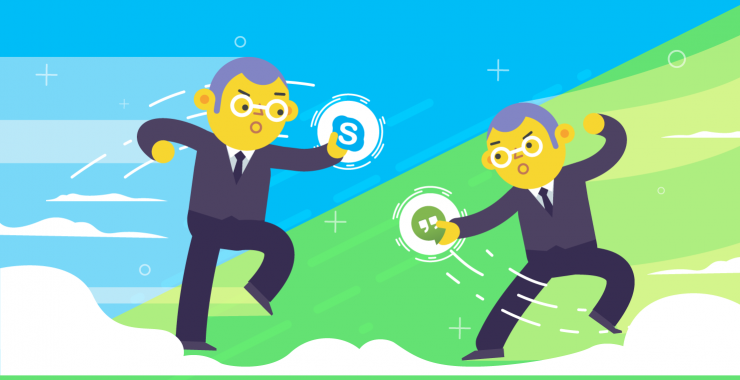 Skype vs Google Hangouts: Chanty team’s in-depth comparison of both tools. Both Skype and Hangouts are quite similar when it comes to communication features. The apps let you chat, make audio and video conferences, call mobile and landline. Let’s take a look. Price It’s free on your gmail account and $5 for GSuite package with Hangouts included into it. It’s free until you want to send SMS or call mobile/landline numbers. Skype interface has always had a familiar “chat” look. It’s either because we grew up on Skype or because every other chat interface has pretty much the same looks. However, if you use Skype a lot you couldn’t help but notice the latest radical redesign. This latest update is the most thrown-together looking thing I’ve seen in a long time. 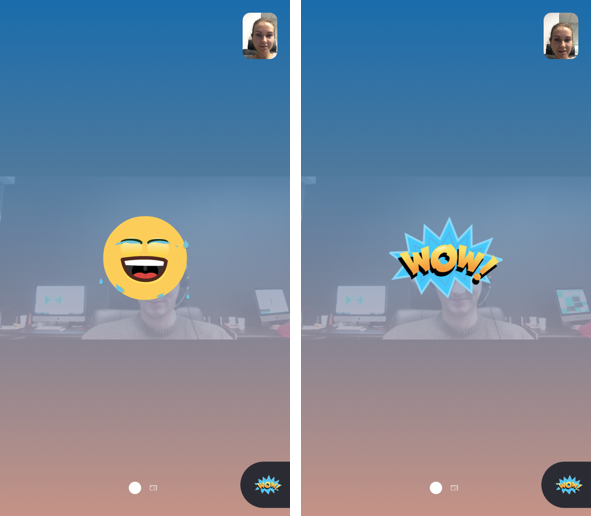 The layout looks and feels nothing like Skype, the chat system is a mess and the Highlights system just screams ‘we want to be as successful as SnapChat. 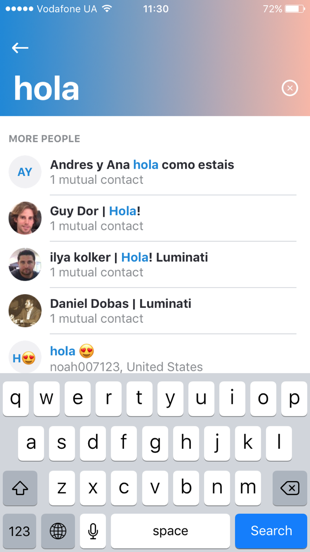 In terms of interface, I was surprised that you can create unlimited number of untitled chats in Skype now by clicking Add People and removing the existing contact from that chat. Chat windows get all mixed up. Depending on your screen size, you’ll have to keep the number of windows up to five-six to feel comfortable. The video interface is quite interesting too. As you can see from the screenshot above I’ve already added a few guys from the team to my contact list. When you click the video button in the middle which is the only obvious button to start a video call you get to a new window with no contact options in it. Moreover, when you type the name of the contact you’d like to reach, there are no prompts or dropdowns suggesting me an email of Julia from my contact list. Well, this is what one would expect from a user-friendly tool, isn’t it? Unfortunately, we didn’t give any UI and design points to Skype or Hangouts. Hangouts is obviously not designed for a day-to-day chat. When used on the computer, It’s just as uncomfortable as Facebook messenger due to the narrow chat windows. You can’t do much with your messages either. E.g. our team is used to editing, deleting, forwarding and pinning messages in Chanty. However, Google Hangouts doesn’t give you any of these options. Moreover, you can’t search through your messages in Hangouts while you can perfectly do it in Skype. Overall, instant messaging in Skype is more comfortable and once again in our review Skype scores 1:0 against Hangouts. People choose Skype or Hangouts mostly because of their audio and video call features. That’s why it’s important that they work perfectly. And the fact is they do. We had no concerns whatsoever with the quality of video and audio calls in Skype and Hangouts – they are great as long as your Internet connection is great. We had a group call with the team and I could hear and see everyone perfectly. There’s also a screen sharing option that works just fine in both apps. Although Hangouts call is hard to notice, Google is kind enough to send an email, telling you there’s a video call waiting for you. Quite an interesting choice of notification options considering picking up a video call requires instant reaction. There’s no popup. No push notification. 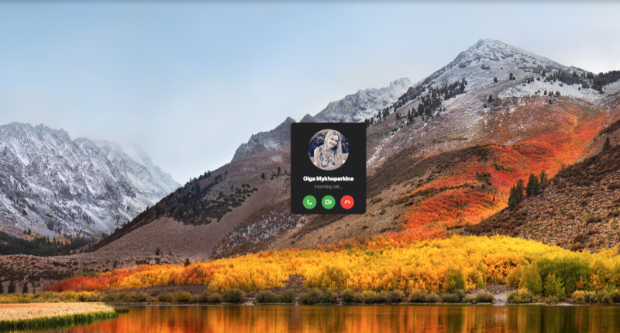 Unlike Skype where no matter what you are busy with on the computer, the popup with a call will cover it all. 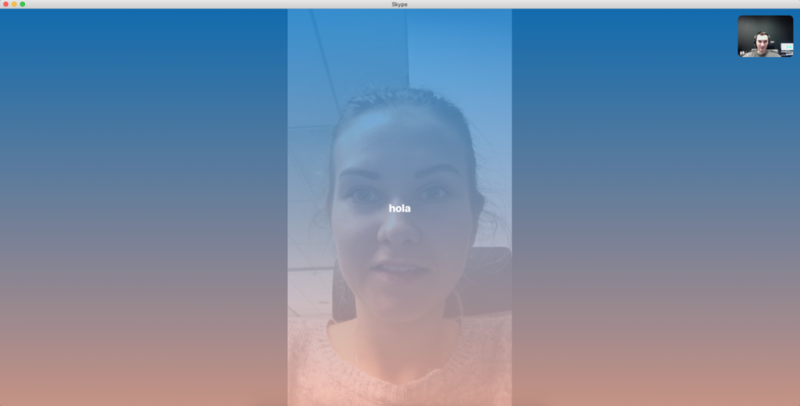 There’s one more thing that could potentially make Skype video calls more attractive to you. Reactions. Although, I doubt it’s very useful for work communication, it’s still fun to have. Along with graphic reactions, you can also type in text that will appear at the screen. This novelty tells us Skype is doing its best to follow the trend. I bet the next thing we’ll see in the Skype releases will be augmented reality. Video conference is limited by 10 people in Hangouts and 25 in Skype. Which makes Skype a better choice if you want to jump on a call with a big team. It’s interesting that Skype doesn’t specify the limit of people for group instant messaging (unlike Hangouts, where you have 100 people maximum). Does it mean there’s no limit? I’m a member of a Skype group with more than 500 people and to tell you the truth, I’ve never experienced issues or seen a popup telling me I’ve reached my limit. If you find that limit, however, feel free to share in the comments. 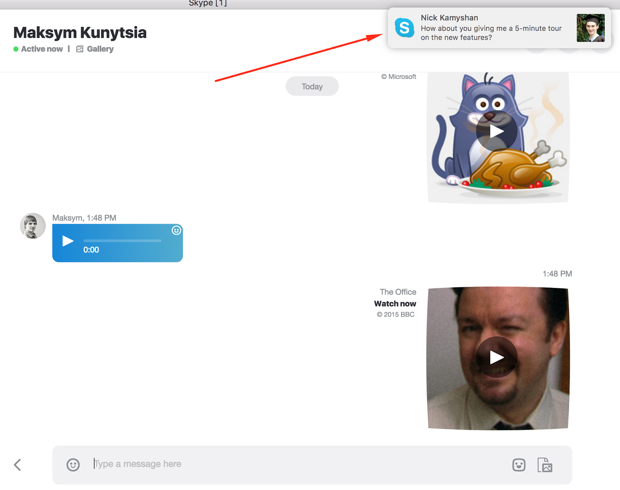 While you can enjoy Skype on various platforms – iOS, Android, Mac, Windows, Linux as well as web, Hangouts isn’t available for a desktop use. Instead, you can open it in your browser or download mobile apps. I must say though Skype web version is quite limited compared to the desktop app. There’s another option to download the browser plugin both for Skype and Hangouts to have a quick access. What caught me by a complete surprise is this – you can’t send or receive files other than images in Google Hangouts. The icon at the right bottom speaks for itself. Looks like Google wants you to engage with Google Drive and send a link to a file you want to share. On top of that, keep in mind that Google positions Hangouts as a video conferencing tool, therefore their chat is far from being user friendly. I can’t say I like the file sharing flow in Skype either, however the fact that you CAN share all kind of files there makes me pretty happy. Moreover, you can view all the files you’ve shared with a particular Skype contact now. However, the comfortable file search that we are so used to in our Chanty messenger isn’t yet available. 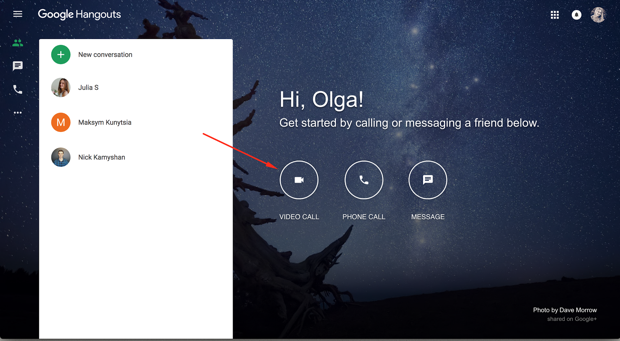 The new Skype version (the one with a redesign) displays them at the right panel. Obviously, Skype scores 1:0 for file sharing. Phone calls are available both in Skype and Hangouts. However the flow is a bit different. While in Skype you can call right away as long as you have Skype credit, Hangouts requires to confirm your telephone number first. Another difference is Hangouts claims that most calls to US and Canada are free while you’ll definitely pay some kind of fee (depending on the country) when calling landline or mobile in Skype. Now let’s see some real life example. Here’s Filipe, my friend from London and no, that’s not his car;). What if I’m in a desperate need of calling Filipe, but he’s suffering from Internet outage? Let’s check which way of calling UK Orange mobile operator is less expensive. Skype would charge me 0.1 USD per minute plus 0.089 for a connection fee. For a 10-minutes phone chat, I’d pay a little more than $1. Not bad, right? Let’s compare to Google Hangouts fees. The same 10-minute call using Google Hangouts would cost me 10 cents only. Wow! It’s like 10 times less than Skype. It wouldn’t be a deal breaker for me since I don’t really call London that often, but if you get to call a lot, 10 times difference would be quite substantial. Congratulations, Hangouts, you’ve just scored 1:0 for landline/mobile calls. While I personally dislike push notifications both on the phone and desktop, it’s still good to have an option to turn them on. I was surprised to find out Google Hangouts doesn’t have them. I mean, they claim to have notifications, there’s even a notification check mark in the settings, but once you check it – nothing happens. Unfortunately, you won’t receive push notifications in Google Hangouts even if you turn them on. 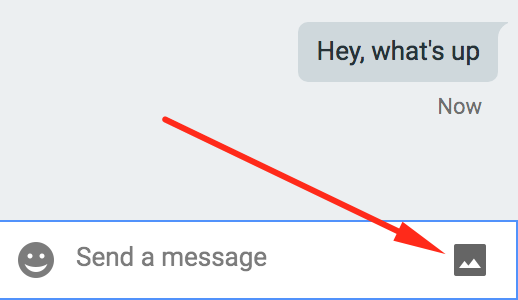 However, you’ll be able to see the new Hangouts message if you are currently in Gmail. At the same time, you won’t miss a single message in Skype as it has no notification issues. Let’s face it – Hangouts is designed mostly for video calls and the chat functionality is quite poor. You can’t send files other than images, you can’t delete, edit or do anything else with messages, you can’t even search through the message history. Moreover, you don’t get notified of a new message in the chat most of the times. However, video calls work just fine with the only exception – it’s pretty easy to miss them if your volume is off. 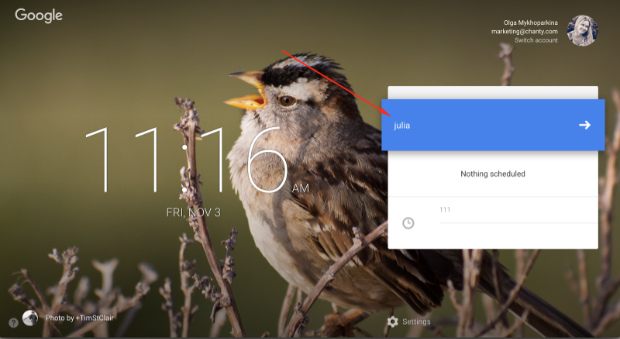 There’s another thing you have to keep in mind – Google Hangouts works under a Google account. 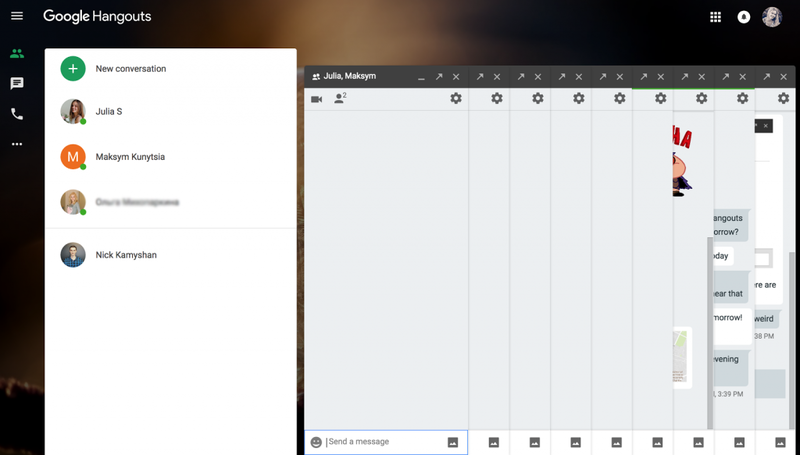 In case you are no Google fan without a Gmail, you’ll have to create one to start using Hangouts. What’s definitely good about Hangouts though is the price of the mobile/landline calls. 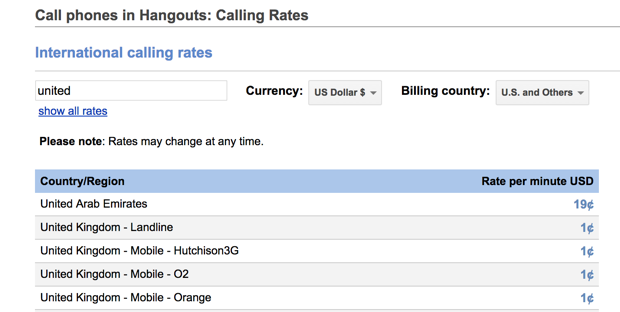 If you get to make international calls frequently, Hangouts could save you big bucks. Therefore, I recommend to use Google Hangouts for video calls, mobile/landline international calls, but not for a day-to-day chat. 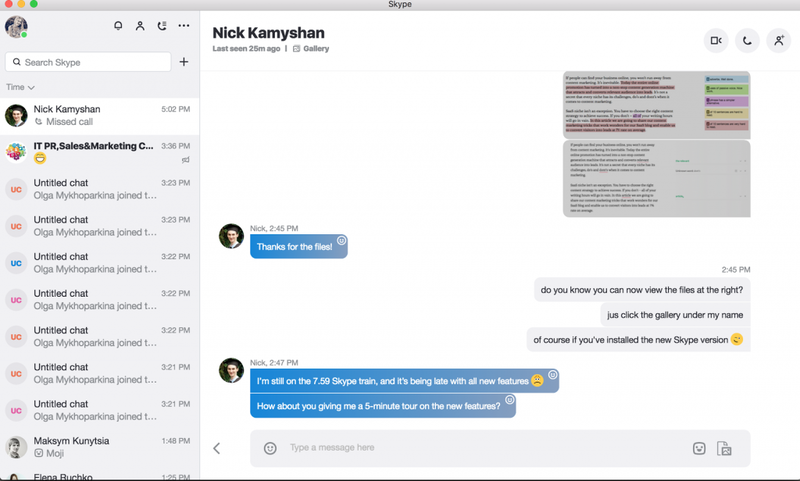 In its turn, Skype has had it all until they’ve decided to redesign. People don’t seem to like the new Skype and many are looking for Skype alternatives now. 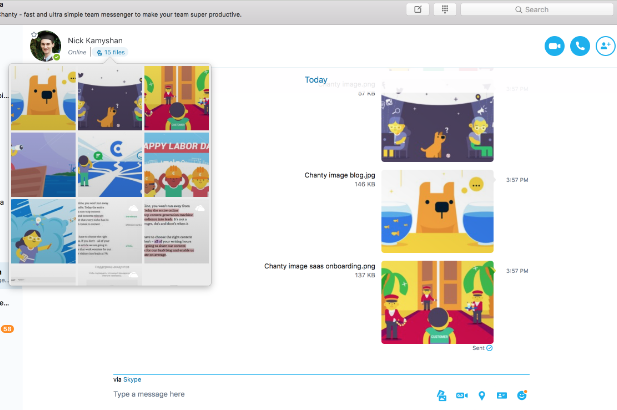 However, apart from ambiguous design, Skype remained the communication app we’ve known – with the powerful chat functionality, file sharing, comfortable search and high quality audio and video calls. If you need a tool for personal communication, Skype is still a great choice. 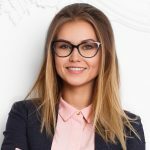 Looking for a team communication? If you need a communication app for a team at work, not for personal use, we recommend you to choose the tools designed for business needs. You will realize the difference is enormous. Team communication tools like Chanty save your time by creating the closed universe with your coworkers. It means no more unnecessary chitchat at work with a random Skype contact, just you and your colleagues. Powerful search within messages, files and links makes your day less stressful and more productive. But here’s the most important – integrations. Connecting various apps you use at work to your team chat is extremely beneficial. From now on you will get all the notifications in a single place. 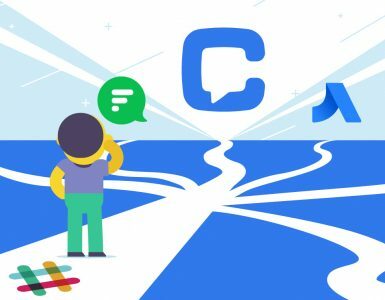 Imagine receiving a new email lead from MailChimp, a new support ticket from Zendesk, a new GitHub commit – all of those in one place, your team communication app. Join Chanty today to enjoy the team communication app of tomorrow. 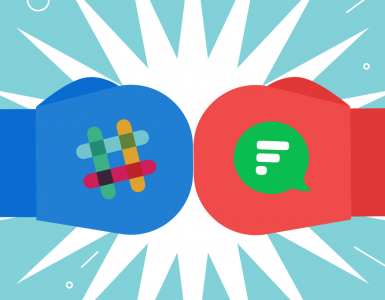 Skype vs Slack with Pros & Cons – Which App is a Winner? Thanks for your interest in Chanty. Currently, we have web, desktop (Windows, MacOS), mobile (Android, iOS) apps. Linux app is in the development process, it should be ready by the launch stage. 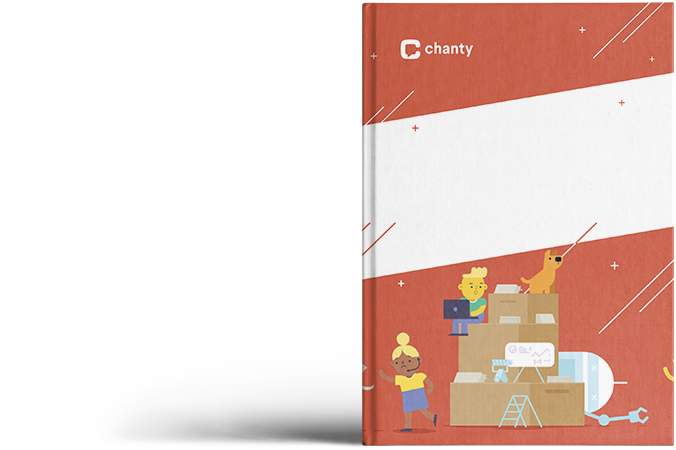 If you sign up for Chanty, we’ll keep you updated on all the changes. Hangouts is being ‘discontinued’. They are separating the apps into essentially the commercial equivalents to their mobile apps of Duo (video calling) and Allo (messaging app similar to whatsapp). their plan is to convert it to the following: Hangouts Meet (video) and Hangouts Chat (messaging) which will cost. I personally think they should keep the video & messaging in one and if they chose to re-brand and add new features to make it more like a ‘slack’ alternative then it would probably go over better. I don’t care for the separating of more apps. The idea of unifying apps & automating tasks is the trend now and I feel google has been taking steps backwards in this area. Thank you for your valuable feedback. I can’t agree more – these days it’s all about bringing all tasks and conversations to a one place. More and more SaaS tools used at work expand their functionality to turn into a single workplace hub. Considering the massive information overload we face throughout the day, this trend is quite natural. At Chanty, we’ve also chosen the “unifying” path. Our goal is to develop that “single workplace hub” that will be connected with all other apps you use at work so you don’t have to switch windows and tabs or remember what is stored where. I stumbled into your article by accident. Do you know how? By searching more details on Hangouts by the key phrase “google hangouts bad” that auto-completed me barely having started to enter said phrase into the Google search engine. I’m a lagging user of an old Mac OS X that still has iChat which is now Messages by appr. 80% of the latter’s functionality. 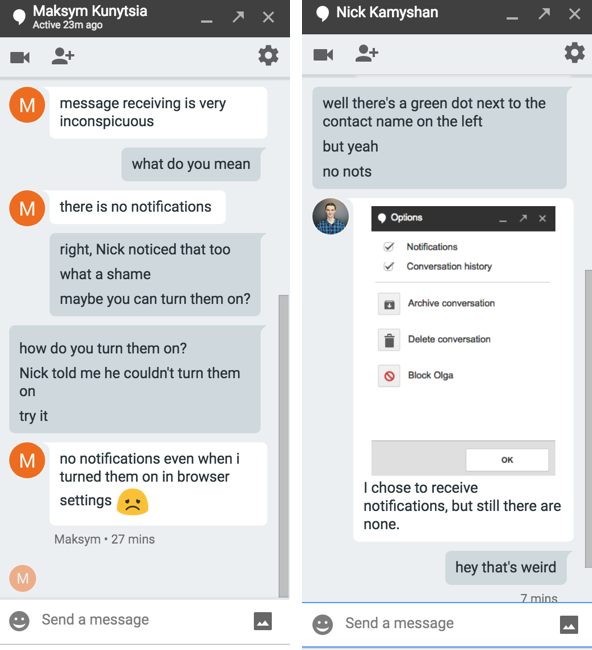 I tried to use it with Hangouts that’s being used by some contacts – it’s a mess. 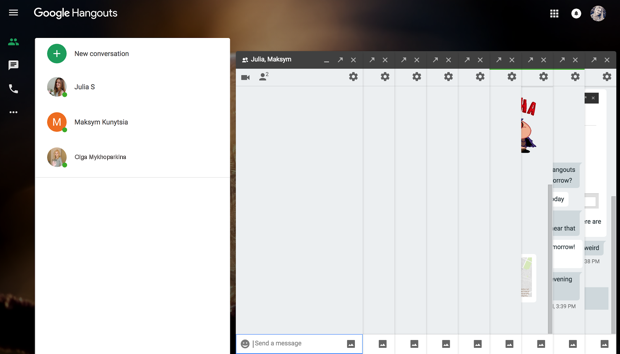 I never cared much about Google, even less about their IM discorded lumber, yet it was possible to use iChat for all types of IM accounts that supported XMPP protocol employed by Jabber services based on it, . The protocol is still in wide use but Google has abandoned it to push their user base to the abomination of a instant messaging called Hangouts. I’m plagued by numerous tiresome issues like both I and my contacts being unable to read messages offline (iChat used to be capable of receiving offline messages – no more); I have two Google accounts and whenever I send a message from iChat I get a pop-up that iChat wasn’t able to send the message, yet I see the message in Hangouts web version but again randomly I didn’t see it at all. All options for messaging, esp., AV chat that iChat lists as available in fact are not and I’m lost which account to plug in. I know that for a while even Facebook old chat was available as option in IM clients – no more too. Hangouts is unusable in working environment and I read that many corporate clients and businesses are avoiding Google IM services and rightfully so. I came up with the conclusion that if you want to make fair use of IM Desktop client you better off going for IM clients rather than the type of IM service Google is moving us. Thank you for your feedback. Just like you mentioned, GH isn’t the best choice for the work environment. Especially when it comes to text chatting. Some of my colleagues use it for video calls only, others shift to services like appeair.in or continue using the good old Skype. If you are looking for a reliable and convenient team chat tool that we definitely recommend to give Chanty a try. Looking forward to receiving your feedback. It seems that you haven’t heard about the hangouts plugin for chrome browser? It works like a desktop app and has no notifications problem whatsoever! Hey Yuvraj, we’ll revisit the post soon as 2019 is coming and a lot of things have changed since we wrote it. We’ll consider your comment, thank you.